The Master of Education (M.Ed.) in Curriculum and Instruction program at UL Lafayette is designed to enhance pedagogical skills and content knowledge for certified teachers. Earning your master’s in curriculum and instruction will prepare people at all stages of their teaching careers to reform, refine, and develop curricula and instruction techniques at the elementary, middle, and high school levels. 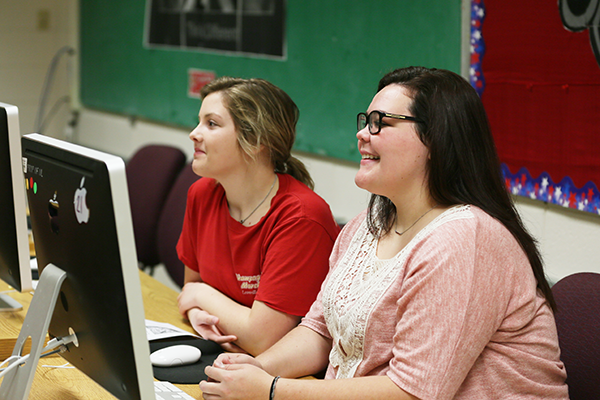 The master’s in curriculum and instruction is housed in the nationally-accredited College of Education. Our online education master’s degree program is best suited for teachers already passionate and skillful in their own classrooms who are ready to share their expertise with other teachers, schools, and school systems. Except for one, all concentrations offered in 100% online accelerated 8-week terms, this program is ideal for teachers who want a flexible schedule and to learn from respected and passionate professors and practitioners. Our faculty’s focus areas range from integrating technology in the classroom to multicultural and social justice education, and they’re excited to work with you to explore the areas that interest you most. With five concentrations to choose from, you can customize your master’s degree in the education program. You can focus on teaching math in the elementary and middle schools, pursuing leadership roles in private schools, working with students with learning disabilities, developing skills in non-teaching areas such as educational technology and exercise science, or conducting education research. Are you ready to become a master teacher and improve teaching in your school? Three letters of recommendation that attest to your capacity for success in graduate school. We ask that two of these letters also speak to your potential to become a master teacher leader. GRE Waiver: If you possess an undergraduate (adjusted or cumulative) GPA of 3.2 (on a 4.0 scale), you are eligible for a waiver of the Graduate School’s GRE requirement. If you are eligible, we ask you submit an essay of no less than 500 words that speaks to both your potential to be a teacher leader and how you envisions the role of teacher leaders with your application. All students are also required to take a research capstone course. Students in the K-8 Mathematics Education concentration will take EDCI 595 Advanced Mathematics Practicum; all other students will take the EDCI 599 Capstone in Curriculum and Instruction. At the University of Louisiana at Lafayette, current Louisiana K-12 educators and administrators pursuing a graduate degree can take advantage of the Teacher Tuition Incentive Program. Started by long-time UL Lafayette President Ray Authement, this program can help you offset the cost of earning your master’s or doctoral degree. Tuition awards are based on the level of degree you’re seeking and your progress toward the degree.